This campaign was designed and managed by Darrell Woodren with the support of his Traffic Solutions family. Please take a moment to understand Tyrone's story. On the morning of Feb 16, 2016, we lost a caring and strong man, a true friend. 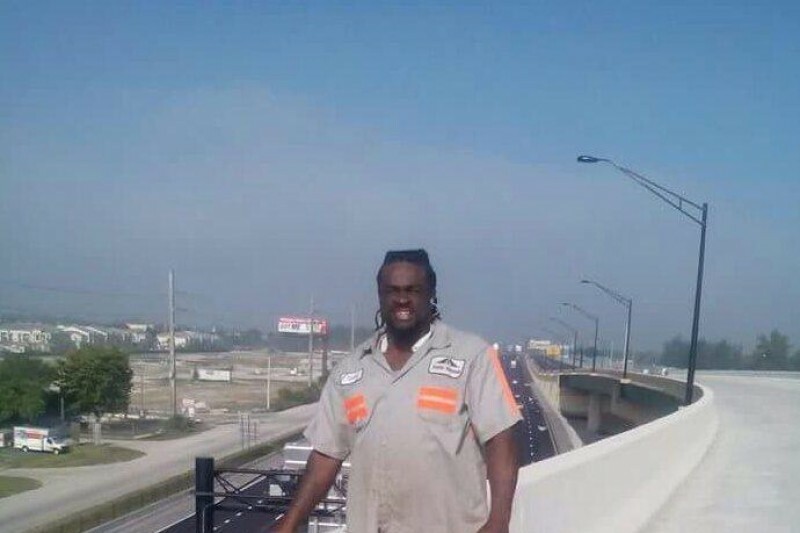 While driving a paint truck home to the office following working a shift in a traffic construction project near Tampa, Mr. Bryant was involved in an auto accident that took his life too soon. Tyrone leaves behind his wife, Sabrina and daughter, Asya. Tyrone was a wonderful man who was always there for his family. Asya recently wrote a school paper about Tyrone and how much he meant to her. In her words he was, "loving, caring and thoughtful...pushed and motivated me..." and she "hopes our family stays together forever." We know the times will be hard for his family in the coming time. It's up to us to try to help. The goal of this GoFundMe page is to raise the funds to help Sabrina and Aysa, his wife and child, and continue his legacy of support and generosity. Even if you can’t give, please send his family prayers. If you do decide to give, all the proceeds will go to helping this family in their time of need. God bless everyone who took the time to read. Amazing to see our community come through in just 24 hours and shoot right through the goal. Please know that this family needs all the help we can offer. If you feel compelled to donate, know that it is absolutely needed. Thanks. Thank you for your continued support of this wonderful, caring family. All prayers, well-wishes, and donations are fully appreciated! From Tyrone's Traffic Supplies and Distribution family, with our deepest sympathies - Colt, Mike, Danny, Jim, David, and Caren. Our prayers with his family. On behalf of the Construction Angels charity, we would like to extend our deepest sympathy for Tyrone's family during this time. Construction Angels is a charity that benefits the spouse and children of 'One of our Own' within the construction industry when a tragedy occurs. We are sorry for your loss, and would like to offer grief counseling for the entire family. Please feel free to contact us at 754-300-7220 for more information. Thoughts and prayers from our construction industry. God bless. Dave and I are thankful that we got to know Tyrone. He was a wonderful employee and we will miss him very much.